What do you get when you mix Pop music with a little blend of Rock? You could say a disaster, or more likely an album that fails to reach a target audience. 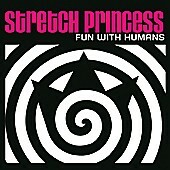 Stretch Princess’ sound is far too soft and reminiscent of elevator music you would hear at your local mall. Fans of artists like Meredith Brooks would be instantly attracted to what Stretch Princess brings to the table. The irritatingly soft sound could only be tolerated by fans of the genre. The Acoustic guitar work is soothing, although nothing groundbreaking by any means. The band itself isn’t awful though, lyrically they excel far beyond any programmed pop artist’s garbage out there. A vocalist that can also play the Bass pretty damn well also makes me think of great musicians who also can such as Lemmy (Motorhead) and Les Claypool (Primus). Instead of trying to blend in some rock elements into their music, they should attempt to promote themselves more as strictly pop. That way fans of harder rock could not be mislead, I myself thought by their name that they would be much heavier. Considering that they are from Wind-Up Records (home of Creed, Drowning Pool (R.I.P. Dave), Seether) I felt I was about to hear a decent hard rock band, and boy was I mislead. If you are a fan of ozzfest type music, stay the hell away from this CD. If you’re a fan of Meredith Brooks and Sheryl Crow, the similarities within the music would instantly please you.